Scottish Industrial Soakings! - Morgana and Lady Rose, in boots and uniform, in the water! Morgana and Lady Rose, in boots and uniform, in the water! Another wonderful wetting in the Deeping Pool below Lady Jasmine's highland hunting lodge! 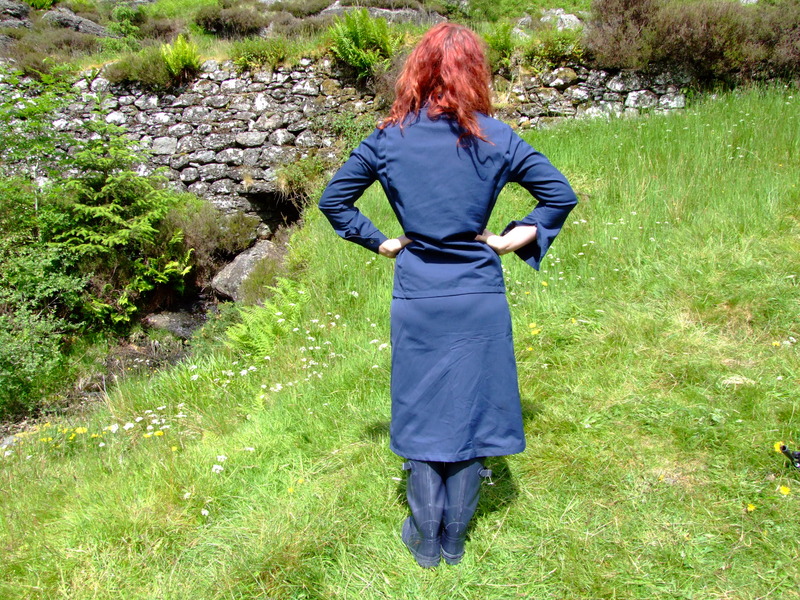 Lady Rose takes to the water in a well-fitting ladies boilersuit and wellies, and is joined by the mysterious Morgana, this time dressed to match her in a navy blue skirt uniform. 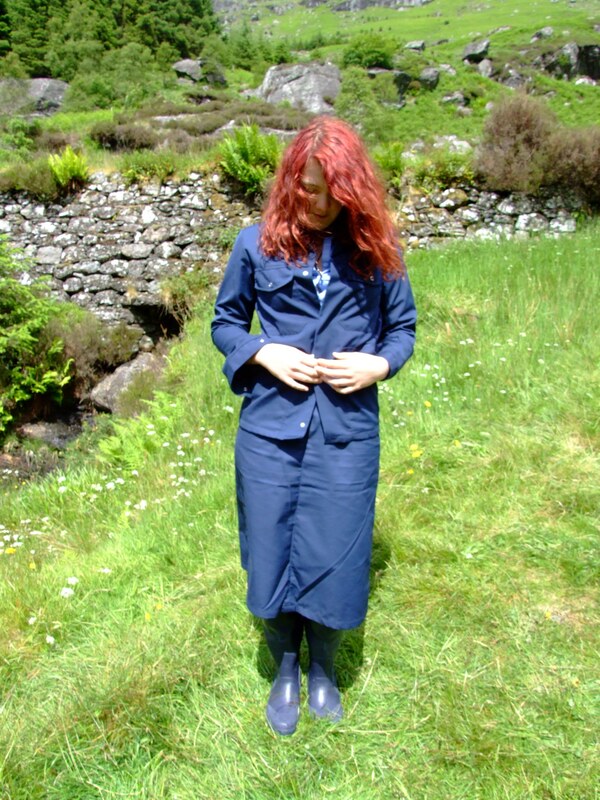 Both women pose and show off their outfits on the sunlit greensward above the pool, then they splash through the shallows in their wellington boots before wading together into the deeper water, flooding their wellies and then slowly drenching their clothes as they go deeper and deeper into the water. Once they're both soaked they play for qite a while in the water, posing, splashing each other, jumping on and off the rocks of the pool. At one point they sit together in the shallows, water lapping at their waists, while the camera looks down through the crystal clear water their drowned wellies, Morgana's skirt, and the legs of Rose's overalls, below the water. The scene ends with both ladies back on the grass in their soaking wet clothes, pouring the water from their wellies over each other, including Morgana having the contents of one of Rose's boots poured into her soaked cleavage!